Knud Rasmussen, Denmark’s most famous polar researcher, has made a significant contribution to knowledge and understanding of Greenland and the Arctic. 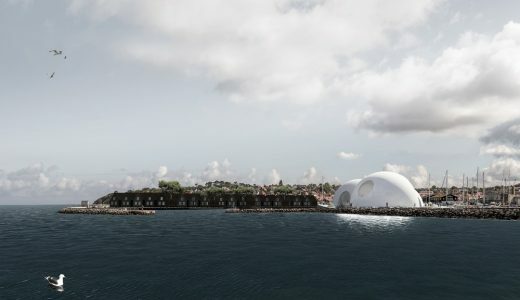 In spite of the historic connection and his efforts to bring Greenland into the Danish consciousness, there is no museum or centre that communicates these relations in a historic, contemporary and future perspective. That is what makes ARCTIC so relevant. 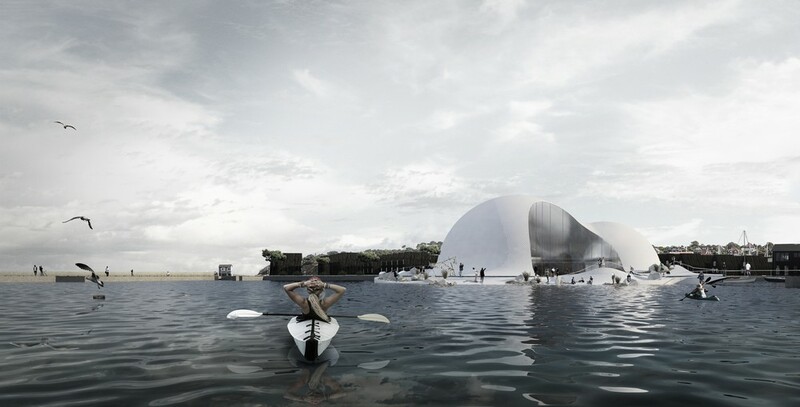 ”The idea is to create a place that currently does not exist in Denmark. A place where Greenland, the Arctic and Denmark are physically linked together, and which can provide visitors with experiences that promote a better understanding of the connections between Denmark, Greenland and the Arctic. A place where we can explore Greenland and the Arctic and where Knud Rasmussen’s travel descriptions and stories can be expanded to include the history of the whole of the Arctic region – today and in the future,” explains Søren La Cour Jensen, Senior Curator and daily manager of Knud Rasmussen’s house in Hundested. ”Just consider themes such as international politics, climate change, new shipping routes and raw materials, ” he continues. ARCTIC will be the very first centre for the Danish Arctic debate that works with all Arctic themes in the cross-field between the past, present and future. The ambition of ARCTIC is to be a nationally and internationally renowned attraction that brings together activities, experiences, communication, learning and research – with Greenland, the Arctic and the relationship to Denmark as the central point, and using Knud Rasmussen’s life and work as an inspiration. The main architectonic form consists of three interlinked domes, as well as the outdoor areas. The building is located on the existing pier which is opened up as an island. The form of the island is an integrated part of ARCTIC’s program and activities. 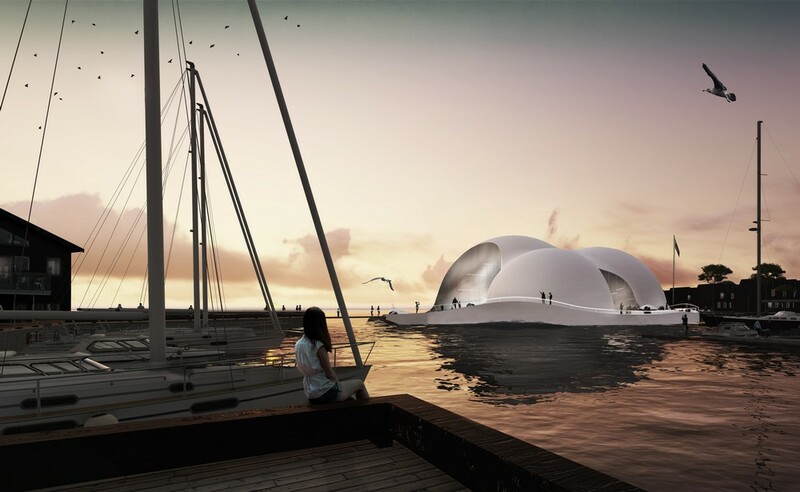 Its use results in an architectonic expression designed to make Greenland and the Arctic visible. 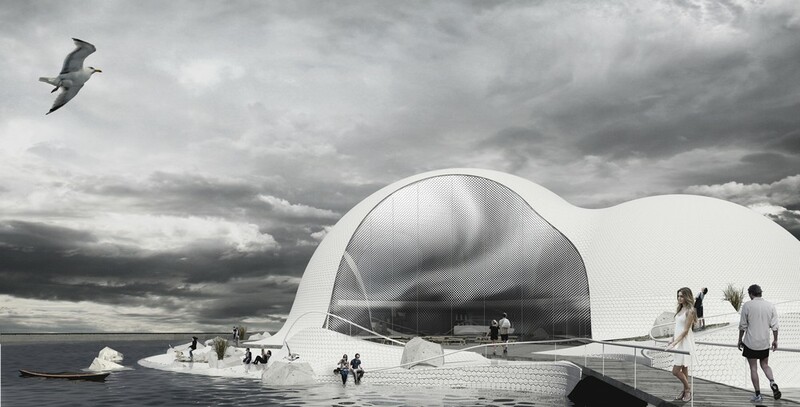 At the same time, the white domes, soft forms of the landscape and the curved lines around the building will establish clear associations to a landscape of Arctic snow and ice. The next step in the process is to further qualify the design and content with a broad group of stakeholders. In the spirit of Knud Rasmussen, the Arctic and Greenland will now be brought to life and their stories told in a contemporary context – ”Adventure waits for he who understands how to seize it,” quote Knud Rasmussen.